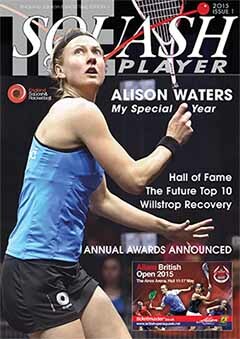 Some interesting reading in the latest issue of Squash Player Magazine. A thought provoking feature on the Champions of the future with 4 coaches (including Malcolm Willstrop) giving their take on how the rankings will look in 18 months, 3 years and 5 years time. Also an opportunity to subscribe to the digital version of the magazine.